This is a complete different story. The telephone in America is very commercial; you can call from 1 cent to 1 dollar a minute. Looking around before you buy a phone card can save you a lot of dollars. The easiest way to call in the USA is to use a phone card. They are really for sale everywhere but you have to be careful. We have tested a few cards (for example the card from AT&T - bought at Sam's club) - 14 dollar cent a minute to the Netherlands. When looking around for a phone card we have found the ultimate phone card and it can be ordered from your house. Calling cards can be ordered starting at ten dollars and you can choose for automatic additional minutes when the amount is low. It will help you not to worry of ending a conversation because your card is empty. Look around for the best card that suits your needs. We have tried the card ourselves and we are very happy with it. Great service and you can phone that much it looks that the minutes are unlimited. When you have to phone to a mobile number around the world it makes it a lot cheaper instead of using your own mobile phone. When you own a house in Florida (or a different state in the USA) you can add your telephone number at your account page. This makes it easier because you don't have to enter the card access number and pin code before you start calling. Who is Cloncom? operates in 150 countries and have sold more than 2 million phone cards. They are searching always for the cheapest calling cards. An address you can trust since 2002! 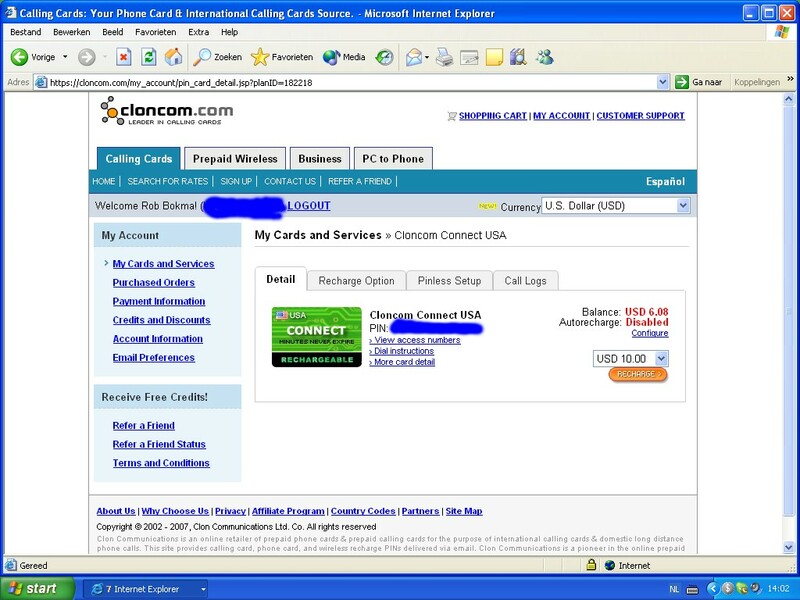 We are a fan of them because it's super cheap to call with their calling cards from and in the United States of America.